Understand that without upper air winds, a thunderstorm would grow vertically, the rain would fall down directly into the updraft, inhibiting the updraft or destroying it. So upper air winds are vital to long lived severe thunderstorms and tornadoes. This is why checking upper air maps is an important factor for chasers to watch carefully when chasing. Most of this data is gathered by weather balloons, and they are sent up only twice daily, 12 hours apart, at stations spread all over the US, many with hundreds of miles between them. This is one of the aspects about upper air that chasers and forecasters grapple with, the limited data due to times available for upper air updates. 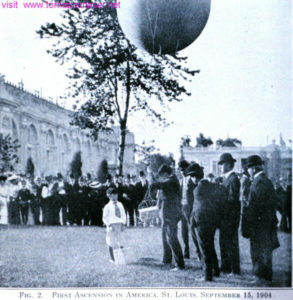 Continuing since 1904 balloons are still sent up twice daily to gather needed information. Here are two photos from NOAA and the NWS showing the simple technology used to send up the data gathering instruments into air to get this data back to official at local offices. 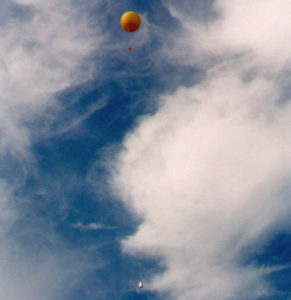 PHOTO: Launching a radiosonde balloon from the Sterling WSFO facility. Credit: National Weather Service Forecast Office Washington, D.C. 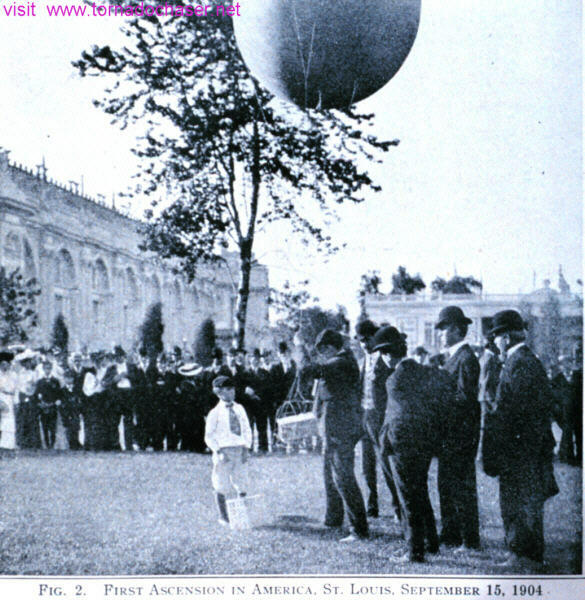 Preparing to launch America’s first “ballon-sonde.” Since this first launch, literally millions of weather balloons have been launched by the National Weather Service and its predecessor organization. In: “The Principles of Aerography” by Alexander McAdie, 1917. Page 12. 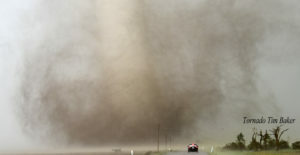 This infrequent gathering of information is part of the reason why predicting exactly where the storms will have the greatest potential for severe weather and tornadoes is so difficult. 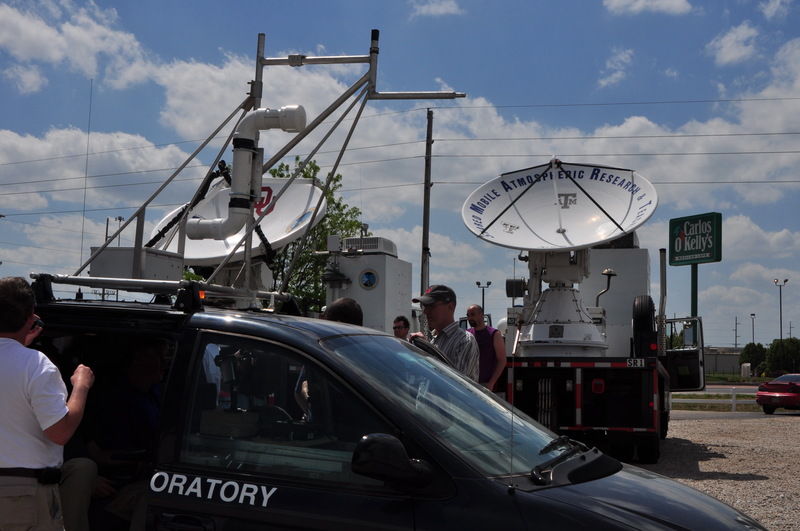 I have watched jet stream predictions change 100 miles or more in the 12 hours between balloon launches. Just read the jet stream prediction maps and then when that time actually arrives check to see where they actually are. You will find sometimes they are off by 100 miles, while other times they are dead on. Upper air winds can be stronger or weaker than forecast, move further north or south, drastically changing the storms life, intensity, and location. On a good storm chase, as storms build you will see thunderstorms leaning as they build, much like a small tree bending in a strong wind, being pushed about by the differing wind directions. This is typically a good sign of wind shear. This wind shear can be seen with the eye just by watching the storms grow sideways. This leaning allows the falling rain to fall away from the updraft, and not in it, thereby allowing the updraft to continue and even strengthen. On some days the wind shear is so strong you will see storms leaning so much that their tops get blown off and then they are seen racing away from the rest of the cloud. As the storms strengthen they over come this shear with enough force to keep building and stay together with the end result of strong shear within the storm, and often spin or storm rotation. At this point the storm chase usually begins to get exciting. 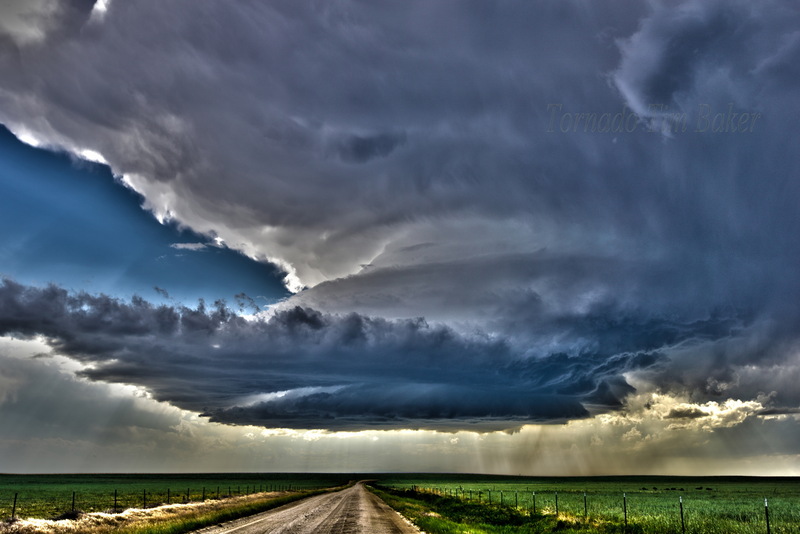 A spinning (rotating) thunderstorm is called a mesocyclone when it meets certain criteria. 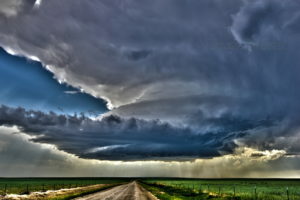 Properly used, mesocyclone is a radar term; it is defined as a rotation signature appearing on Doppler radar that meets specific criteria for magnitude, vertical depth, and duration. 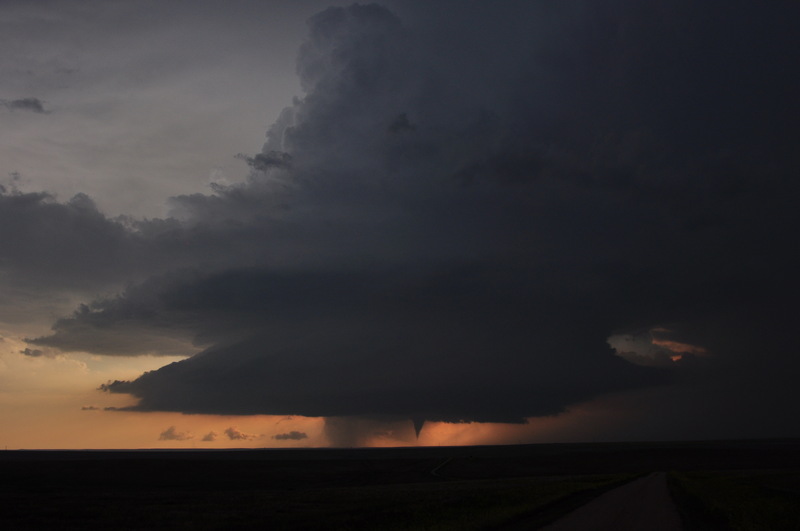 But with experience you will become able to pick out most mesocyclone storms with your eye as they are usually very evident to the seasoned chaser. Experience will help you identify them accurately. Next, if a jet stream moves over the top of a building storm and pulls the top of the building storm away from the main updraft, it kicks the storms into high gear causing some of the most violent storms and tornadoes. Rather than the top of the storm flattening out you see it being pulled one direction, stretching the top out and elongating it sometimes for many miles. If there was a small fire in your fireplace and then something covers up the chimney. What happens? The smoke backs down the chimney into the house, it has no place to go. Not only is this dangerous, it can cause a great mess which any chimney cleaning service can attest. Same with storms. They build to a point and then hit a ceiling of air that stops them from growing. Now if that same cover was removed from your chimney and what happens to the smoke? It can rise up and out freely again, just as strong upper air winds can allow storms to keep rising and building. Now one more example. With nothing covering your fireplace chimney and the flute is wide open, and it is a windy day with winds of 40 or 50 miles per hour racing over the top of your chimney. What would happen then? Well if you have ever been by a fireplace when it is really windy you will see the fire burns hotter unless you restrict the updraft in the fireplace by closing down the flute. A powerful wind over your chimney makes the updraft stronger. The same with a strong jet stream placed over a storm, it speeds the updraft rates significantly. So, a well positioned jet, will vent the storm, pulling the rising air up faster and away from the main body of the storm, letting the updraft strengthen. This kind of venting on storms is called divergent flow aloft, and is a main contributor to violent storms. I have seen storms like this on many of my storm chase adventures. The storm acting like a giant vacuum cleaner, sucking all the clouds and moisture up and into the supercell. Sitting in my car watching the clouds racing into the storm only to seem to disappear into it, but in reality are racing upward in the strong updraft of the storm. So keep an eye on upper air maps, where is the jet stream forecast to be, and where is the low pressure in relation to this. Look for an area of warm air that is being pulled into the low pressure area by the jet, and you may have the target location of the day for your storm chase.